The changes in regional facial skin blood flow and vascular conductance have been assessed for the first time with noninvasive two-dimensional laser speckle flowmetry during audiovisually elicited emotional challenges for 2 min (comedy, landscape, and horror movie) in 12 subjects. Limb skin blood flow and vascular conductance and systemic cardiovascular variables were simultaneously measured. The extents of pleasantness and consciousness for each emotional stimulus were estimated by the subjective rating from −5 (the most unpleasant; the most unconscious) to +5 (the most pleasant; the most conscious). Facial skin blood flow and vascular conductance, especially in the lips, decreased during viewing of comedy and horror movies, whereas they did not change during viewing of a landscape movie. The decreases in facial skin blood flow and vascular conductance were the greatest with the comedy movie. The changes in lip, cheek, and chin skin blood flow negatively correlated (P < 0.05) with the subjective ratings of pleasantness and consciousness. 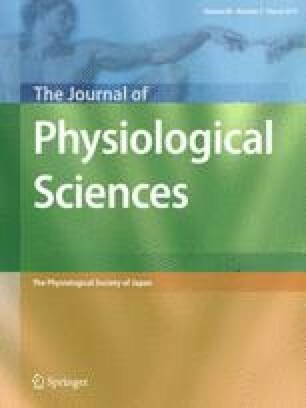 The changes in lip skin vascular conductance negatively correlated (P < 0.05) with the subjective rating of pleasantness, while the changes in infraorbital, subnasal, and chin skin vascular conductance negatively correlated (P < 0.05) with the subjective rating of consciousness. However, none of the changes in limb skin blood flow and vascular conductance and systemic hemodynamics correlated with the subjective ratings. The mental arithmetic task did not alter facial and limb skin blood flows, although the task influenced systemic cardiovascular variables. These findings suggest that the more emotional status becomes pleasant or conscious, the more neurally mediated vasoconstriction may occur in facial skin blood vessels. This study was supported by the Center of Innovation (COI) Program from the Japan Science and Technology Agency (JST) and partly supported by Grants-in-Aid (no. 15H03061) for Scientific Research (B) from the Japan Society for the Promotion of Science. This study was funded by the Center of Innovation (COI) Program from the Japan Science and Technology Agency (JST) and partly supported by Grants-in-Aid (no. 15H03061) for Scientific Research (B) from the Japan Society for the Promotion of Science. All authors declare that we have no conflict of interest about this study. All procedures performed in this study were in accordance with the ethical standards of the institutional ethics committee and with the 1964 Helsinki Declaration and its later amendments or comparable ethical standards. Informed consent was obtained from all individual participants included in the study prior to the experiments.